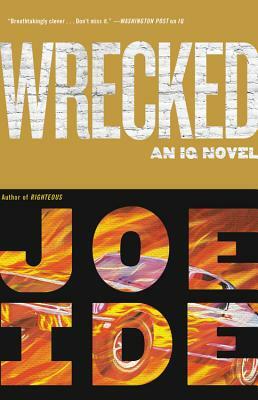 Wrecked (An IQ Novel) (Hardcover) | Fountain Bookstore, Inc.
Joe Ide is back with the third installment of the IQ series, and this may be Isaiah's diciest situation yet! Isaiah has a crush on Grace, and when she asks him to help her find her mom, who's been missing for ten years, he sees it as a way to her heart. But he finds himself getting crossed up with members of a security firm who are all ex-military and spent time at Abu Ghraib, and they have something to hide. All our favorite characters are back, and Ide's combination of comedy and action packed, Hood detective vibes make for a great time (well, for us, maybe not for him)!